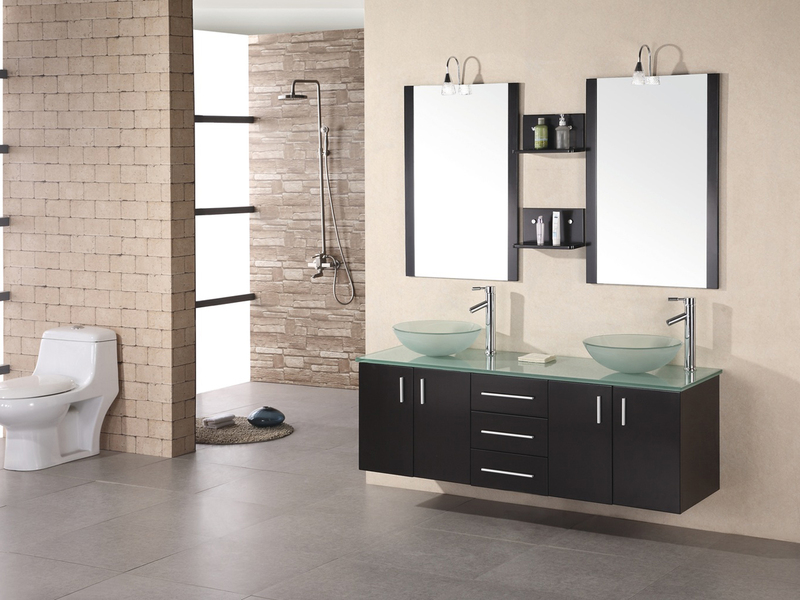 The 61" Portland Glass Double Vessel Sink Vanity combines the beauty of tempered glass with an Espresso finished cabinet to give you a vanity that explodes modern style to every corner of your bathroom. Its minimalist-themed cabinet is constructed from solid oak and is designed to be mounted to the wall, giving your bathroom the appeal of more floor space. 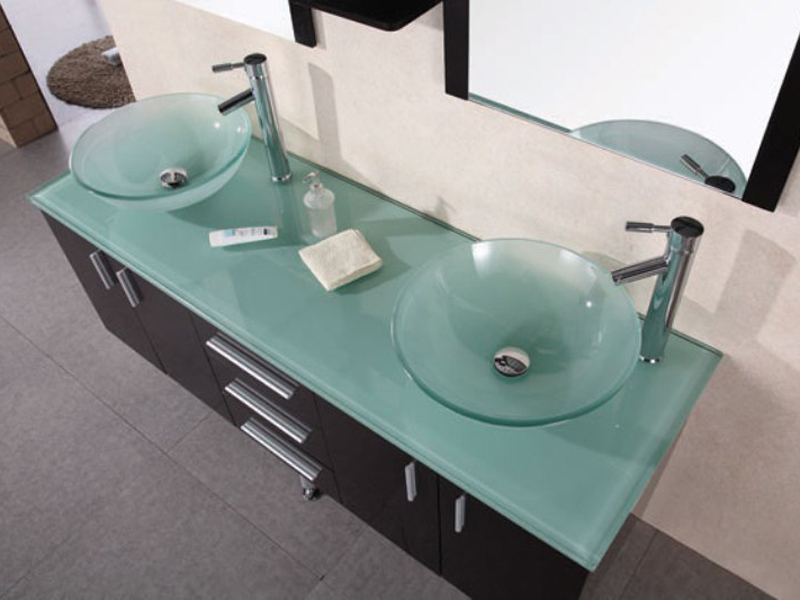 It is topped with a gorgeous tempered glass countertop and two glass vessel sinks. 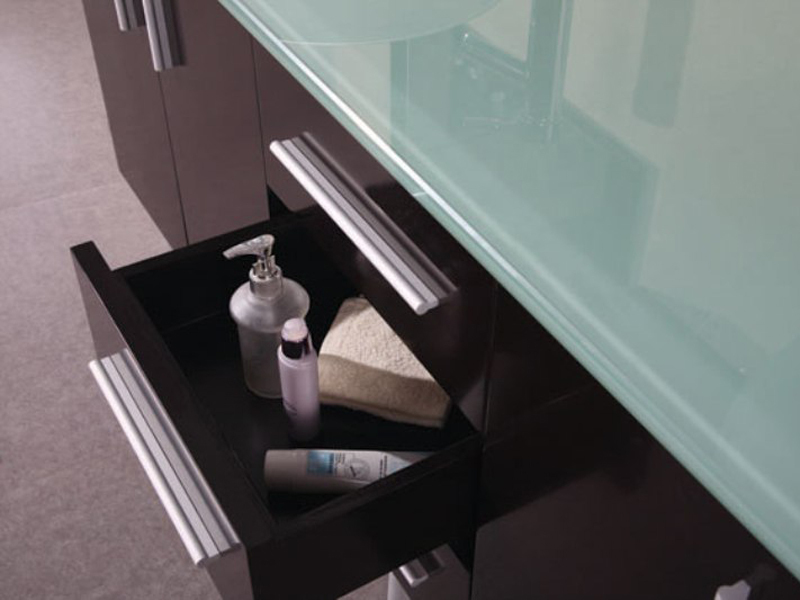 The Portland Vanity also boasts plenty of storage space as well - included two double-door cabinets and 3 central drawers, all equipped with soft-closing mechanisms. 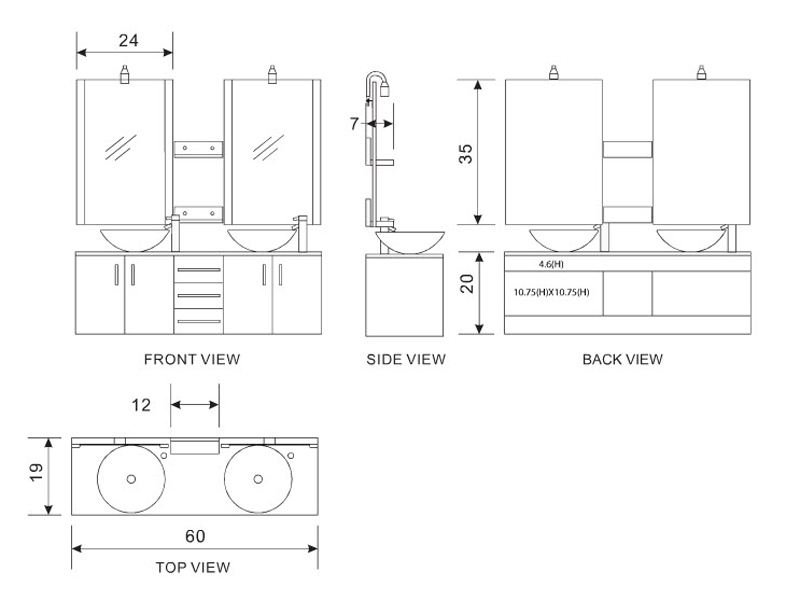 Two matching mirrors are included!